Willing to make a difference in the lives of children fighting cancer? Then step up to the plate and join Chicago Cub Alfonso Soriano and other baseball greats at the Children’s Neuroblastoma Cancer Foundation’s Grand Slam Gala. Help raise awareness and funds for Neuroblastoma, an aggressive form of childhood cancer – and also the most common in infants. The cause is unknown. Your support will fund research for more effective, less toxic treatments that will lead to higher survival rates. 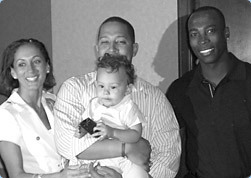 *Ticket price includes two free drinks, food, gift bag and a chance to meet Alfonso Soriano and other baseball greats. $50 of the adult ticket price is tax deductible.